These great ideas are yours to own--go for it! Reality TV makes it tough to face real life. There’s no high-powered crew coming, you’re not headed for Disney World, and before you can say "Ty Pennington," it’s Sunday night. So can you really make a difference in a weekend? You bet. It all starts with a plan. Use our time schedule to help you divide up and prioritize your tasks. Check with manufacturer for delivery date. Get window boxes and hardware. Paint boxes, if necessary, with primer coat and 2 top coats. Purchase packing peanuts, potting soil, fertilizer. Paint to match house shutter color―2 coats. Paint bench―primer coat and 2 top coats. Paint shutters―primer coat and 2 top coats. Fill the bottom third of the window box with packing peanuts. This ensures good drainage and reduces the weight. Add potting soil to fill the box. Sprinkle all-purpose granular timed-release fertilizer (such as 14-14-14) on top. Add plants, putting tall ones in the back, medium-size in the middle, and trailers to come over the front edge. A few well-placed containers polish the makeover. 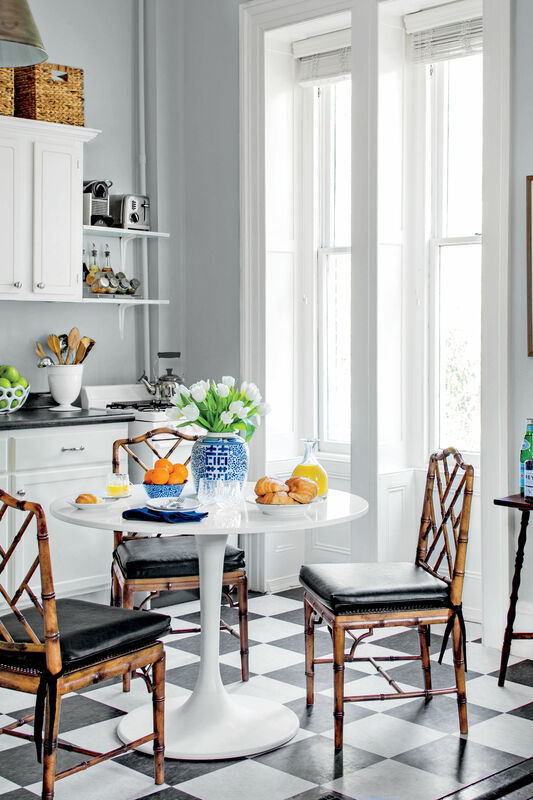 Inexpensive plastic pots painted your trim color become instant accessories with a big-bucks look. Placement is key: Low saucers on each side of the steps define this area as the entrance without being bulky and in the way. The large pot on the corner anchors the area between the front door and the front walk. 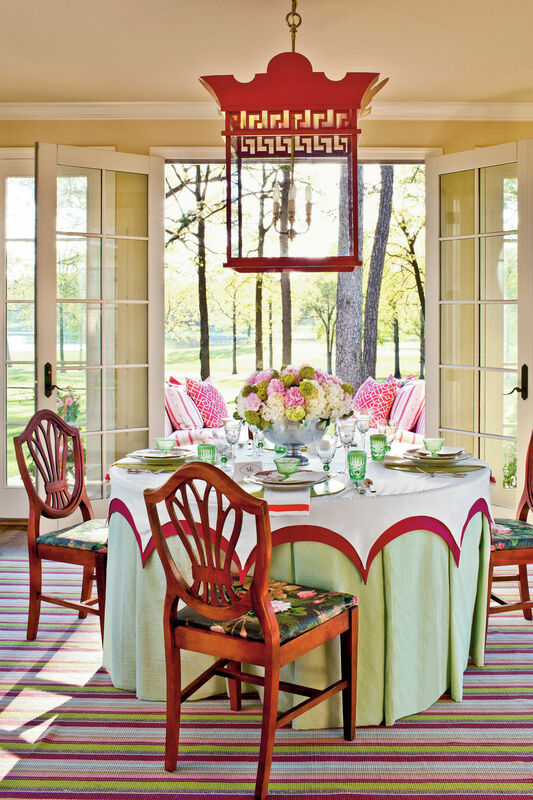 Add splashes of fun and color with a bench. 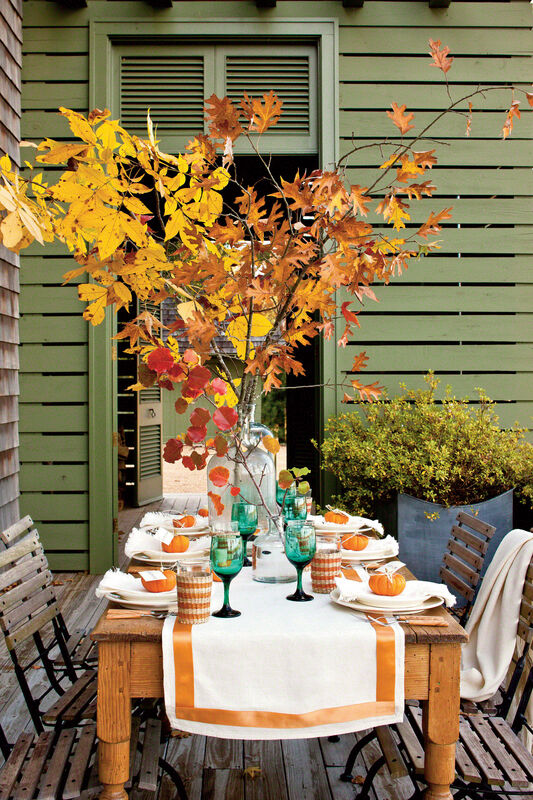 Festive outdoor fabric pillows give your home personality and complete the look. Shutters add character. You may be tempted to buy those colored plastic versions and nail them to your home, but don’t. Sure, it may take a little more effort to prime, paint, and install real wood shutters, but it’s worth it. Your home will stand out from your neighbors’--in a good way, of course. Carefully measure your windows prior to ordering shutters. Measure from the top of the sill to the top of the window; subtract 1/2 inch to allow room for the shutter to close inside the window opening. You can go simple or decorative when it comes to hardware. 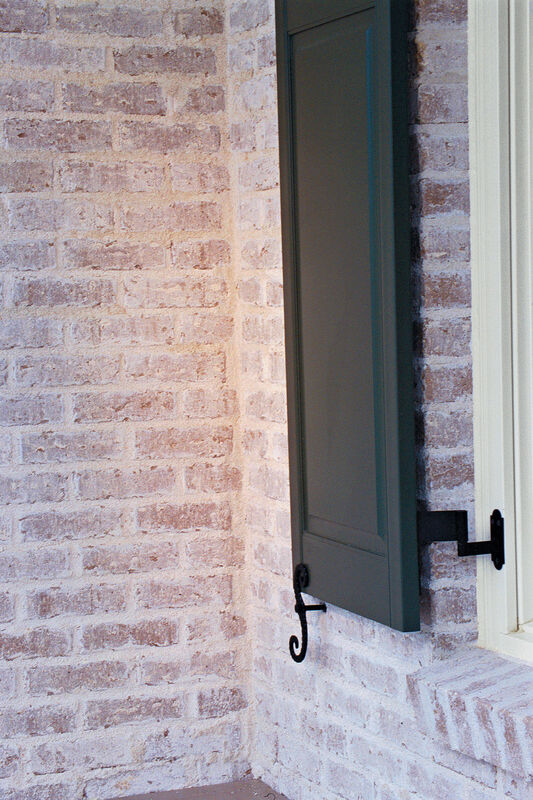 We choose a classic steel hinge that mounts directly to the window frame. Shutter dogs or metal holdbacks keep the shutters resting against the house, not flapping in the wind. These were installed directly into the brick. A little painting is by far the easiest and most cost-effective spruce-up you can do for your home. A fresh coat in a snazzy shade on your front door makes a huge difference--all it takes is a quart. Just be sure you use the right formula. Remember, never use a latex-based mix over an oil-based paint; it’ll peel off in no time. This article is from our 2005 Weekend Living special issue, on newsstands the week of September 12!